The Sims 4 will get its own Seasons expansion, a long-running Sims tradition, this June, publisher EA said today. Seasons, which brings spring, summer, fall, and winter to the popular simulation game, has always been one of the most hotly anticipated expansions for The Sims games. The tradition first started with The Sims 2, and has continued in every Sims game since. Having your sim experience the changes in the environment as the year progresses adds just that much more realism to your game. Players will finally be able to watch their sims play in the autumn leaves and build snowmen on June 22, when this expansion launches for PC and Mac. 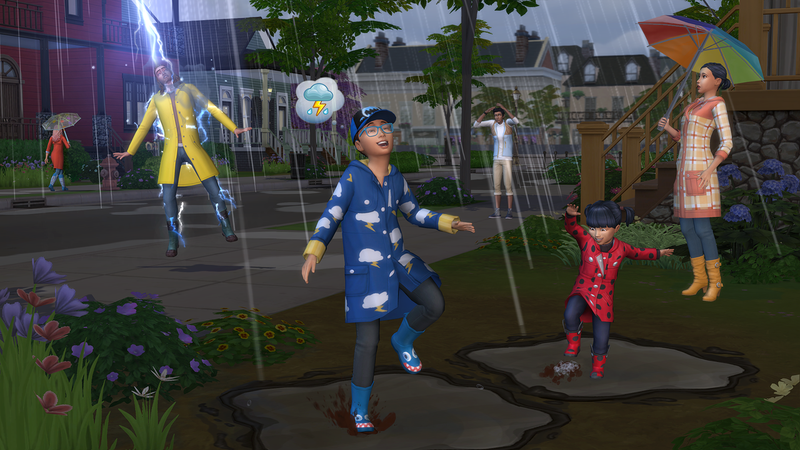 The Seasons expansion will also bring a host of new holidays to The Sims 4. The expansion will also add new features like flower arranging to the gardening skill, and allow sims to follow a botanist career path. Sims fans should be happy to hear that this fan-favorite expansion is finally coming to The Sims 4. I’m definitely excited to see the season-specific clothing and furniture. Finally, I’ll be able to bundle up my sim in a cozy sweater for winter, from the comfort of my temperature-controlled apartment.